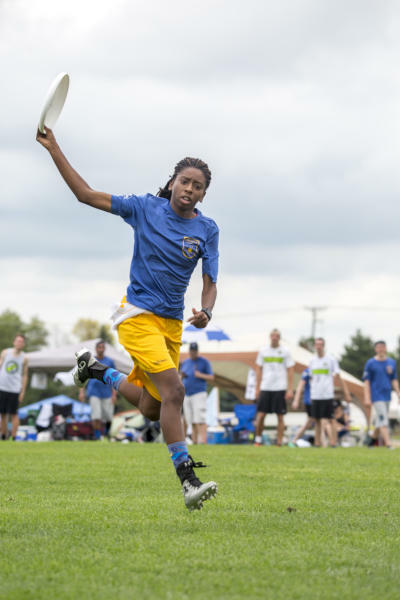 5 Reasons We are Excited for the USA Ultimate Championships in Rockford! 5. Rockford on ESPN! – Thanks to a partnership between ESPN and USA Ultimate, matches from the semifinal and final rounds of competition at Mercyhealth Sportscore Two this weekend will be broadcast live on ESPN3 and the WatchESPN app, which brings 24/7 live programming via smart phones, tablets, Xbox One, Apple TV, Google Chromecast, Amazon Fire TV and Roku. According to ESPN, the combined broadcast of ESPN3/WatchESPN will reach more than 83 million households across the country. The agreement allows for highlights from the event to be featured on ESPN’s SportsCenter. 4. Check out the skydiving! – The RACVB is working with Chicagoland Skydiving Center to have a celebratory jump before the final game this Sunday. At 2:58 p.m. look up in the sky and you will see the skydivers parachuting down over Mercyhealth Sportscore Two and into Wedgbury Stadium as the final match kicks off! 3. 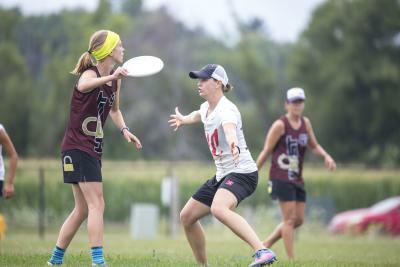 FREE kid’s clinics – USA Ultimate wants the youth of the Rockford region to get involved and learn the sport of Ultimate! Kids ages 7-18 can come and learn from some of the best Ultimate players in the nation! The co-ed clinics are held on Saturday only from 12 – 1:30 p.m. Another clinic for girls ages 7-18 will be held Saturday from 2:30 – 4 p.m. The clinics are held at Mercyhealth Sportscore Two and you can register online at www.gorockford.com/ultimate or in person at the USA Ultimate information tent. 2. 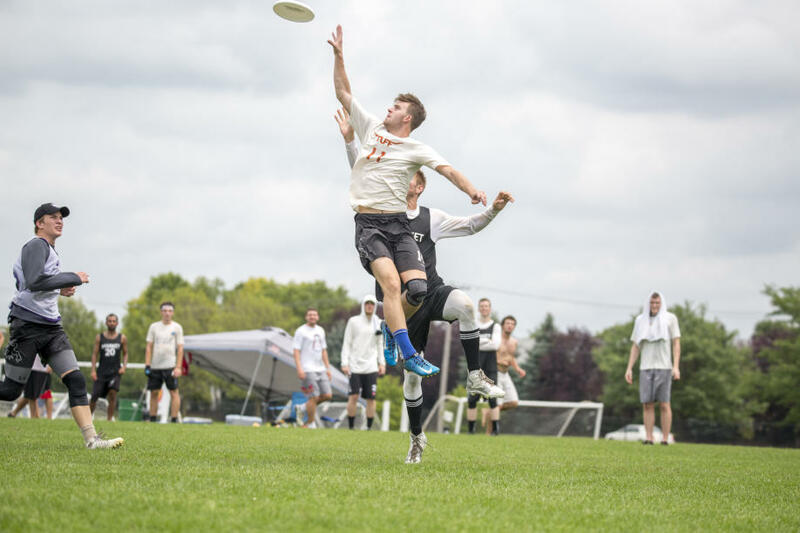 Amazing catches and plays – One of the highlights of any Ultimate match is watching the athletes make amazing catches that show off the tremendous skills these athletes have. This is not your backyard Frisbee toss. This is high-powered disc play that will wow the crowds. More than 1,300 athletes will be competing in the tournament and representing teams from throughout the United States. Catch the action Thursday, Sept. 29 – Sunday, Oct. 2. Check www.gorockford.com/ultimate for details. 1. Showcasing Rockford! – One of our favorite aspects in recruiting tournaments to the region is getting to showcase our great community to the players, organizers and fans that the tournaments bring to our community! The USA Ultimate community will be here exploring our great town (from meetings at Prairie Street Brewing Co., to dinners at GreenFire, to staying at our hotel campus). Be on the lookout for these athletes and show them why Rockford rocks!